Since 15 years, the British label World Music Network has introduced the extraordinary rich diversity of World Music : from Asian undergrounds to South African Gospel, from Salsa to Raï, from the music of native Australian to Zydeco…The label gives the opportunity to immerse in the wide landscape of World Music and foreign cultures without getting lost at any time. Greeted by international reviews, the World Music Network has become a label that cannot be ignored by explorers of new music! Since Spring 2001, Harmonia Mundi has commercialized the World Music Network in France. 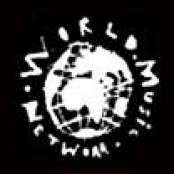 The World Music Network was created by Phil Stanton and Sandra Alayon–Stanton in 1994. Created by Jean HUMENRY, the label COMME CI COMME ÇA produces albums for young audiences as well as albums of French songs for adults.